Keep up to date with what's happening in the world of Fulfilling Lives through all of our latest news and blog posts here. 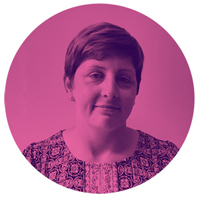 I’m Rachael, a Service Navigator based at Tyneside and Northumberland Mind. 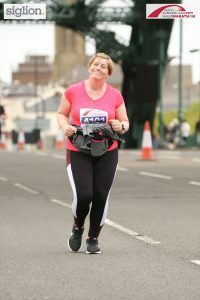 For many years I’ve watched with admiration as thousands of people from all walks of society, and for a whole host of reasons, have taken part in the Great North Run. As a programme, Fulfilling Lives is very much focused on change. A large proportion of my work is encouraging systems in Newcastle and Gateshead to change their outlook at the way they support people with multiple and complex needs. Despite my job being to encourage change, I’ve been very reluctant to encourage change in my personal life. For me, exercise is a massive change that I have hidden from for many years. But not anymore. Following a big birthday at the end of last year, I decided that now was the time to encourage this change in my life, and get fit. I jumped at the chance of a spot at this year’s Great North Run when I was offered one, being one of the many thousands of people to run across both the start and finish line. I am running in support Tyneside and Northumberland Mind, so as well as keeping myself fit, I’ll also be doing something good for other people. Being based at Mind in the Fulfilling Lives programme, I see every day the massive impact they have on people’s lives in the local area, and want to help them continue to do so. In preparation for the Great North Run, I took part in the Sunderland Half Marathon last month – my first ever half marathon! I was so pleased to cross the line in 02:58:24, and am aiming to smash this time in September! The achievement that I felt completing this was overwhelming, as was the support and encouragement from both friends, family and colleagues. For now, training continues. Keep tuned as I’ll be providing an update ahead of the big event over the summer! If you’d like to support Rachael and Tyneside and Northumberland Mind, visit her JustGiving page and donate what you can. If you can’t donate, give Rachael’s page a share on your social media – every share online is worth approx. £5 in donations. You can make all the difference!